Premium socks at an affordable price and with a rather unforgettable name. 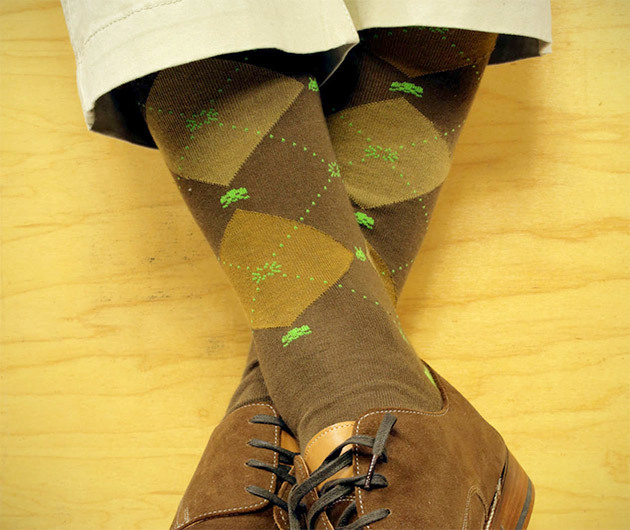 Introducing Soxfords Space Invaders and their one-size fits all design available in a host of colorful, fun and sophisticated patterns. Sporting the perfect amount of stretch to mold to your legs, they not only minimize shrinkage but wick moisture from your skin, keeping your feet cool in summer and snug come winter.